Dr Liz Goodwin from WRAP tells us about confusion between ‘best before’ and ‘use by’ dates on food labels and shows how this contributes to food waste. It was great to see the FSA announcing their food date label consultation with industry last week. We know from research carried out with the FSA that consumers are confused about what ‘best before’ and ‘use by’ date labels actually mean. The figures are worrying. Almost 3 million tonnes of food and drink is thrown away each year before ever being cooked or served – basically because it has not been used ‘in time’. 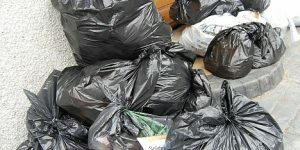 We also know that 450,000 tonnes of food is thrown away because it has passed a ‘best before’ date. That is a crazy figure because that same food should be perfectly safe to eat up to and after this date as long as it is stored correctly. We have worked closely with the FSA on this issue and our research on food waste has helped to shape this consultation. We are looking forward to feedback from industry and eventually delivering greater consistency for consumers to help them make better use of the food they buy. I am also really encouraged by supermarket initiatives such as Love Your Left Overs and Great Taste Less Waste. Local authorities are also playing their part with over 200 of them supporting our Love Food Hate Waste campaign. 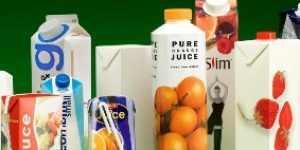 This is one of a number of projects we are working on to help consumers better understand information on food and drink packaging. Read the rest of Liz’s story on the WRAP blog. 5 ways to recycle spectacles What do you do with your glasses once you get a new prescription? As long as food is kept within dry cool conditions, then any that only has a Best Before date on can be used well after that date it is just a matter of personnal taste as to when something has gone past its best. There is a website which sells discounted food stuffs in this category (like the market stalls on some of the larger markets), I have bought from them previously and have not been disappointed. There is some packaging but if you select carefully it can be minimal. Also the company use cardboard and minimal bubble wrap to package up the parcel, so either reusable or recyclable. I fished a whole melon out of the office kitchen bin. This melon had been sitting in the fridge for several weeks and after invetigation I found its owner just hadn’t got round to eating it. We ate it several days later – when it had ripened! The owner just felt it had been there too long. I’m not about to go skip or dumpster diving for food yet like the fregans though! @Jane: 😀 love your story! And I hope you thoroughly enjoyed it. Weird how people just assume things are old. I find that with certain things like kiwi fruit too, they can last for ages in cold conditions then you can bring them into the warm to rippen over a couple of days. Eggs are the only food the FSA said should not be used after their Best Before date. I suspect this started with the salmonella scare. Just keep everything cool/refrigerated if necessary. It would be good t be able to say to everyone that Best Before dates on all foods were nothing to do with cooking. Very disturbing is finding labels where “eat within 24 hrs” is written on the underside inside the sealed pack – so you don’t find out until you have bought and opened your pack of six steaks (thinking you’ll eat three today and three the day after tomorrow). I believe this information should be upfront on the front and clearly visible (without a magnifying glass). @Jane: I make my own judgement on whether or not foods are okay to use. I rarely even look at the labels. I’ve not poisoned anyone yet!! @Jane: I’ve never come across that sort of labelling, jane – that seems crazy and not at all helpful. Like poppy, I don’t take any notice and just use my senses of smell, sight and then taste 😉 No harm done so far LOL! Oh I personally don’t take the labelling that seriously but it does mean that you have to feel confident that you have refrigerated it properly. Children without as much experience tend to take it much too seriously though. There needs to be more information in school about supermarket selling strategies. (I saw an online article recently on msn which is more accessible.) Without giving our children a lot more practice in feeding themselves they will become even further divorced from the way that food is produced. Date format should be consistent and it isn’t. I’ve just had an argument about ‘Feb 12’. It isn’t clear to many people which things are fresh and which are long-life. The ‘Feb 12’ was followed by lots more numbers which were being sold to me as a year when I would imagine they were the batch and the machine and time those bottles were filled. They certainly weren’t being marketed in the year suggested – 1956! More important but elsewhere on the bottle in very small print was ‘use within three days of opening’. This type of labelling causes confusion. It needs to be clear which number the consumer needs to be watching when managing their food cupboard and which are just for the manufacturer in case of a problem. I can’t believe this isn’t a deliberate ploy to generate more sales.